Kicking off its first card of the new year, DiBella Entertainment's "Broadway Boxing" series returned to the famed BB King Blues Club and Grill in midtown Manhattan Thursday night in front of a sold out, ear-piercing crowd. In the main event, hard-hitting Rafael Vazquez (13-1, 11 KO's) defeated Joseph Rios (13-12-2, 4 KO's) via technical knockout. Vazquez put Rios on the canvas twice in the second round. First, he dropped Rios with a cracking left uppercut. Moments later, Rios found himself on the canvas again after Vazquez landed a rock-solid left hook. In round three, Vazquez ripped off a series of left hooks to Rios' body. 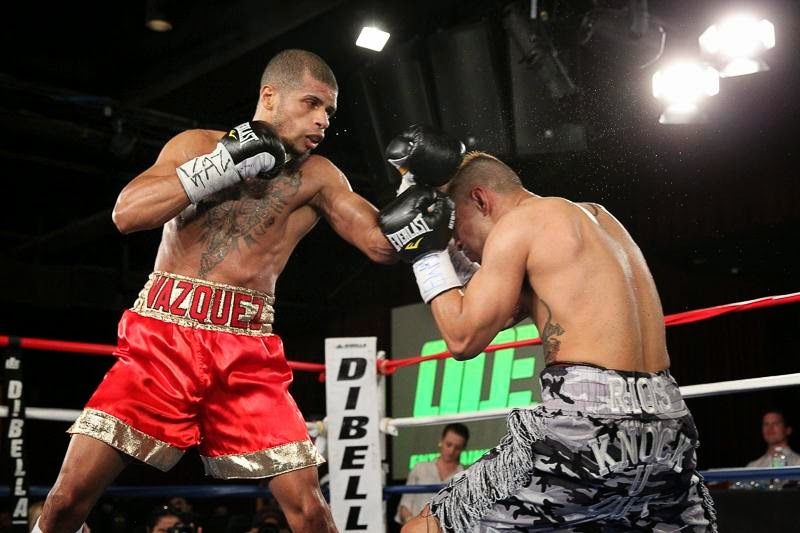 Once again, Vazquez put Rios down after connecting with an accurate right cross in round four. 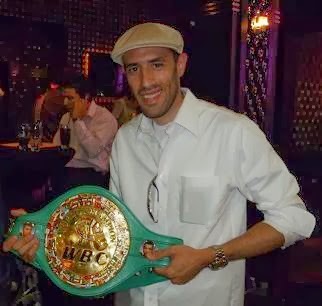 Rios could not continue following the end of the round. Featherweight Luis "KO King" Rosa (18-0, 8 KO's) quickly crushed Noel Echevarria (11-5, 6 KO's) at 2:32 of round one in the co-main event. Echevarria came out throwing a barrage of punches, but was instantly met with lightning-quick shots from Rosa. After dropping Echevarria in a neutral corner, Rosa knocked him senseless with a blighting left hook-right cross combination. In a cruiserweight attraction, undefeated Travis Peterkin (14-0, 6 KO's) beat Julio Garcia (6-8), 3 KO's. After pounding Garcia's face with a series of right hooks and straight lefts, Garcia quit on his stool following the end of the first round. 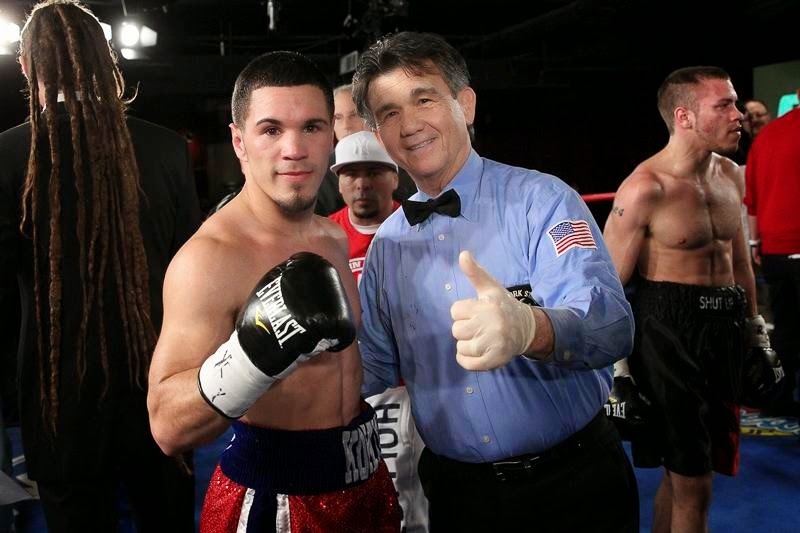 Brooklyn's Shawn Cameron (8-0, 4 KO's) won a highly competitive, six-round junior middleweight contest versus Daniel Calzada (10-13-2, 2 KO's). Official scores were 58-56 across the board for Cameron. Cameron, a southpaw, possessed dangerous power in both hands. However, Calzada's tenacity enabled him to outwork Cameron in the middle rounds of the fight. Consequently, Calzada's fierce body and head shots curtailed Cameron's offense, forcing extremely close scorecards from the ringside judges. In middleweight action, Chris Galeano improved to (6-0), capturing a six-round unanimous decision over Alex Mancera (7-6-1, 5 KO's). A swift right hook from Galeano opened a nasty cut above Mancera's left eyelid in the sixth round. Official score totals were 58-56 and 59-55 twice. Lightweight prospect Wesley Ferrer (7-0, 4 KO's) cruised to a six-round, unanimous decision victory, easily outpointing a durable Hilario Ramirez-Medina (2-5) 60-54 on all three ringside scorecards. Ferrer's vicious body punching really slowed Ramirez-Medina down by the third round. In the fourth round, Ferrer's blistering combination punching almost put Ramirez- Medina down. Ferrer's blazing hand speed and agility proved to be just too much for Ramirez-Medina to overcome. Super middleweights Steed Woodall (6-0-1, 4 KO's) and Jas Phipps (4-5-1, 1 KO) battled to a six-round, majority draw. Official ringside score tallies were 58-56 in favor of Phipps and 57-57 twice. Phipps' keen use of angles and ring generalship kept Woodall off-balance for most of the bout. Woodall utilized a sturdy left jab in the first three rounds, but then began to walking into Phipps' straight lefts shortly thereafter. Although Phipps found his range and was able to control distance, Woodall finished strongly in the sixth round. In a battle of southpaws, Ivan Golub (10-0, 5 KO's) destroyed Rashawn McCain (2-3) in a middleweight contest. Golub flattened McCain in the blue corner with a straight left-hand shot. Time of the stoppage was 2:58 of the opening round. Light heavyweight Lennox Allen improved his professional record to (18-0-1, 11 KO's), stopping previously unbeaten Kojo Issah (9-1-1, 5 KO's) at :51 of the second round. In round one, Allen wobbled Issah with a powerful right hook to the head. Then, he put Issah on the canvas with a right hook to the body in round two. Issah could not beat the ten count. Ivan "The Beast" Baranchyk (3-0, 2 KO's) needed just 1:55 to dispose of Ian James (3-12-1, 1 KO) in the first round of a junior welterweight clash. Baranchyk overwhelmed James on the ropes, and unleashed a scintillating right cross-left hook combination that left the Brooklyn native flat on his back in the red corner.